Through the halls of the Phi Kappa Theta house at the University of Nebraska-Lincoln, white boards with brothers’ names are hanging on bedroom doors. One room holds a different name: “TeamMates Central Office”. That room belongs to former Columbus mentee, mentor, TeamMates+ mentee and TeamMates+ board member, Mackenzie Mapes. Mackenzie’s TeamMates journey started almost 10 years ago in Columbus, Nebraska. He and his mentor, Brad, met once a week from 7th grade through high school graduation. When Mackenzie graduated from high school, he kept in touch with Brad. With Brad’s influence, he joined the Phi Kappa Theta fraternity. Along with his fraternity, Mackenzie’s involvement in TeamMates+ has given him a strong support network. His TeamMates+ mentor and board president, Treve Florum, helped Mackenzie find a place on the TeamMates+ board. With his influence, the board is putting together a support group of TeamMates mentees to help with professional and emotional networking. Mackenzie said his mentors have influenced his philanthropic goals. “Treve and Brad are the two people who pushed me to give back to TeamMates,” he said. Mackenzie is now a senior studying accounting. He’s hoping to move on to get his masters, CPA, and eventually get into public accounting. His education path is not free however. When Mackenzie graduated from high school, he was awarded the Osborne Opportunity Scholarship, which covered $1,500 over the course of three semesters. The money was beneficial, but not enough to cover all of his bills, especially after his sophomore year. Fired up with inspiration, Mackenize ran for the Phi Kappa Theta philanthropy chair. He didn’t win the seat, but he won his brothers’ hearts. The fraternity eventually adopted Mackenzie’s cause. In working with the TeamMates Program Director DeMoine Adams, the TeamMates+ board, and TeamMates Foundation, the Phi Kappa Theta brothers created the “Leadership in Lincoln Scholarship”. “Everyone was a little hesitant at first because fraternities sometimes have a bad rep in some circles, but I showed them we’re different,” Mackenzie said proudly. 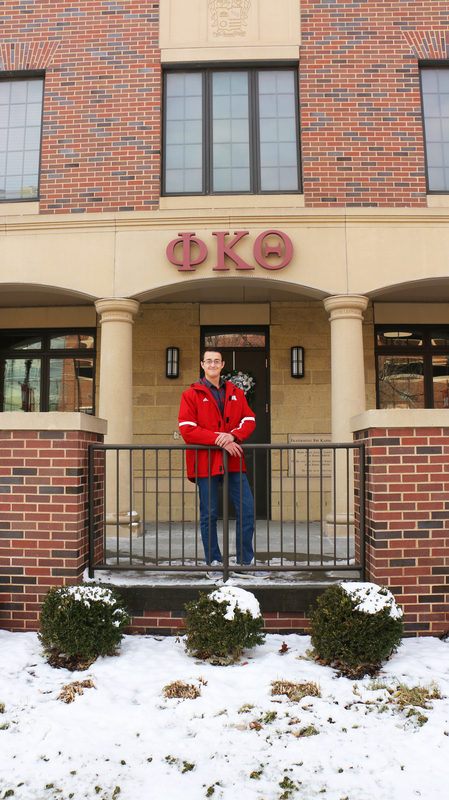 The Phi Kappa Theta brothers went from raising about $1,000 per year to almost $10,000 for their philanthropy after adopting the Leadership in Lincoln Scholarship. 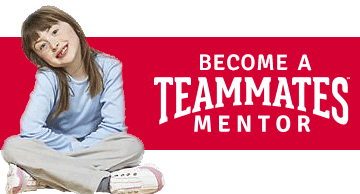 Right now, the scholarship can be awarded to any TeamMates mentee attending a Lincoln post-secondary institution who exemplifies leadership in the community through volunteer activities. The award covers $1,000 over two semesters. Mackenzie’s dream is for the fund to cover a study abroad element. The scholarship fund is continually growing, but could use more funds to help it reach a broader pool of students. To contribute to the Leadership in Lincoln Scholarship, send a check to the TeamMates Central Office with a note indicating “Phi Kappa Theta” or “Leadership in Lincoln Scholarship”.